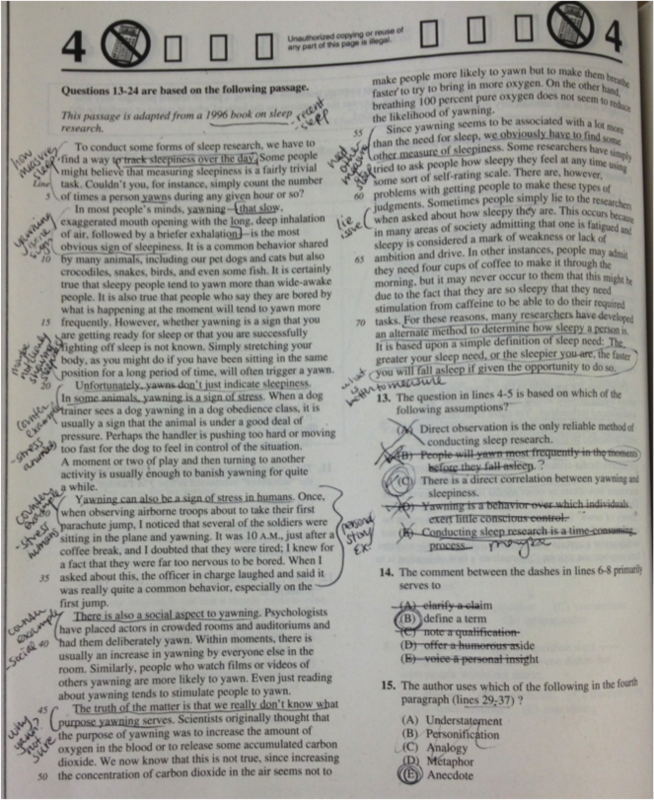 I know–the SAT Critical Reading Section isn’t exactly a walk in the park. In fact, it’s probably one of the more difficult sections to prepare for! Those vocabulary words may seem nearly impossible to memorize, and those passages are extremely difficult to get through without falling asleep. But if your student is looking to get a high score, tell them not to give up! 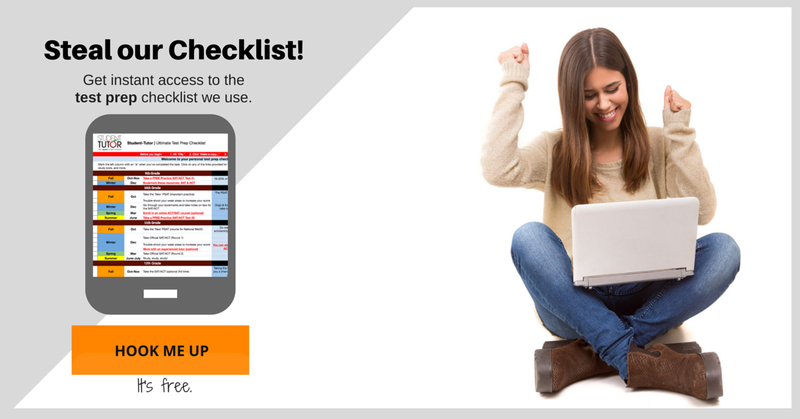 With the right study tips and test-taking strategies, they’ll be on their way to a perfect reading score in no time…but they won’t get there without proper practice and execution. So without further ado, here’s how your student can increase their SAT Critical Reading Score! You know that old saying, “practice makes perfect”? Well, it’s 100% true. If your student wants a high score, then they’re going to have to practice, A LOT. Need good study materials? 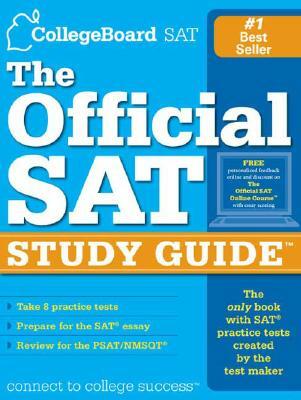 Pick up College Board’s Official SAT Study Guide from your local bookstore! I recommend working with your student to set up a schedule. Make sure they set aside enough time each day to complete one sample reading section. And be sure to time them! After completing the exercise, they should score themselves using the book’s score chart. How did your child do? Where did they go wrong? Where could they have done better? After your child scores themselves, have them go back and redo the questions they got wrong, making sure they really understand why they got it wrong in the first place. This shouldn’t take any longer than an hour each day, so I’m sure your student will be able to find the time! Also, make sure your child gives themselves 1 or 2 rest days every week as well. Trust us–they deserve it! Vocab is SUPER important for the SAT Critical Reading Section, and there are lots of ways your student can expand their vocabulary for the SAT. Traditional methods include flashcards and study sheets. Also, check out our guide to memorizing SAT vocab words! Don’t like any of these methods? Suggest to your child that they try reading some higher-level books. When they come across words with which they are unfamiliar, encourage them not to just move on. Instead, they should use context clues to ascertain the definition of the word. What if they still can’t figure it out? Have them look up the word in the dictionary! Not only is this reading method fun, but your student is much more likely to remember words they’ve read in a book. Need some book recommendations? Check out Magoosh’s recommended reading list! One of the best ways to prepare for the Critical Reading Section is to learn to think like an SAT expert, and what better way to learn to do this than by watching an actual SAT expert solve problems and explain them?! Watching experts solve and explain critical reading questions will help get your child in the right test-taking mindset. They will also become more familiar with words and phrases that provide clues to the correct answers, and will learn how to properly analyze the passages. But where can I find videos of experts?? SAT Crammers has AWESOME videos that walk you through sample questions step-by-step. Be sure to check them out! Probably 50% of the questions that follow that passage pertain to the passage’s main idea, so it’s vitally important that your student has it down. The main idea of the passage is often given towards the beginning and/or the end of the passage. While it’s very important that your child understand the main idea of each passage, they shouldn’t stress out about every little minute detail of the passage. Think of it like this: your student only has 25-30 minutes to read several passages and answer about 30 questions. They don’t have time to understand every detail. Instead, they should try summarizing each paragraph in the margins as they read–that way they get the main points of each paragraph! When taking the SAT, your student is bound to come across several extreme answer choices, and while these answers may look tempting, they’re wrong about 99.99999% of the time. It’s human nature to think that things can only be one way or the other, but the world isn’t black and white. Don’t let the test-makers trick your child! 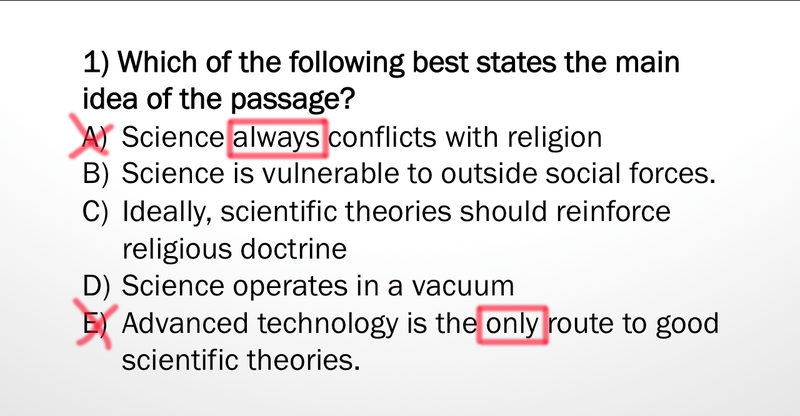 Every time your son or daughter comes across answer choices that use words like “always” or “never,” they should eliminate these answer choices immediately! Here’s a tip you’ve probably never heard before: every time your student come across an answer choice that is sexist, racist, or not politically correct in some other way, they can safely eliminate that answer choice… because the correct answer choices will always be politically correct. Think about it: if you were one of the SAT test-makers, would you decide to include an article about single mothers being unfit to raise children, or interracial couples ruining the institution of marriage? Therefore, if an SAT passage is about a woman or some other minority group, you can safely assume that the passage will portray the minority group in a positive light. Oftentimes, the writers of the SAT multiple choice questions will decide to include answer choices that rely on outside information not given in the passage. Even if your child is familiar with that bit of outside information, make sure that they do not let these answer choices distract you from the correct answer. They should eliminate these answer choices! Yeah I know, it’s annoying, but the SAT Critical Reading questions only ever pertain to the passages themselves, so any outside information is irrelevant. I’m not saying that your student should discount any background knowledge they may have on the topics of the passages, as background knowledge is often very helpful in understanding the passages…but when it comes time to select an answer choice, they need to forget all prior knowledge they have of the passage. Check their answers and redo problems they get wrong. Know that the correct answer is usually politically correct, too. Simply follow these helpful tips and your student will be on their way to a perfect reading score in no time at all. Got any other good Critical Reading tips? Share with us in the comments below!